We seek an Industry Sales Lead to join our Industry Sales team within our private market division; KMD Business. The team plays a pivotal role in developing our business within the Financial Services industry. Our Industry Sales Leads act as knowledge centers to orchestrate sales and realize synergies across the sales teams of our Business Units as well as the Client Executives managing our large accounts. Key success criteria for the position include new client acquisition, increased cross selling, value proposition integration and improved brand awareness in the strategic industries. KMD Business is a division in KMD that offers business-critical technology and software solutions as well as consultancy services to private businesses in Denmark and Scandinavia. Every day, our 850 employees cooperate with our customers to create commercial advantages, operational gains and growth via digital transformation and ongoing optimization. KMD Business includes several specialized business units in KMD and the subsidiaries BanqSoft, Edlund and Charlie Tango. The financial services industry is undergoing significant changes and massive transformation projects are on the agenda to accommodate the need for digitalization, new channels, changing customer behavior, sharing economy, PSD2, peer-to-peer lending, blockchain technology, crowdfunding, robotics, regulatory compliance and new FinTech players. KMD Business has set out to take a key position in this market. The Industry Sales team work across KMD Business and subsidiaries to integrate value propositions, drive business development and close large client contracts. Our main goal is to help clients make better decisions and propose integrated solutions to industry specific business issues. We take great pride in developing simple solutions to the complex business challenges that our clients face. 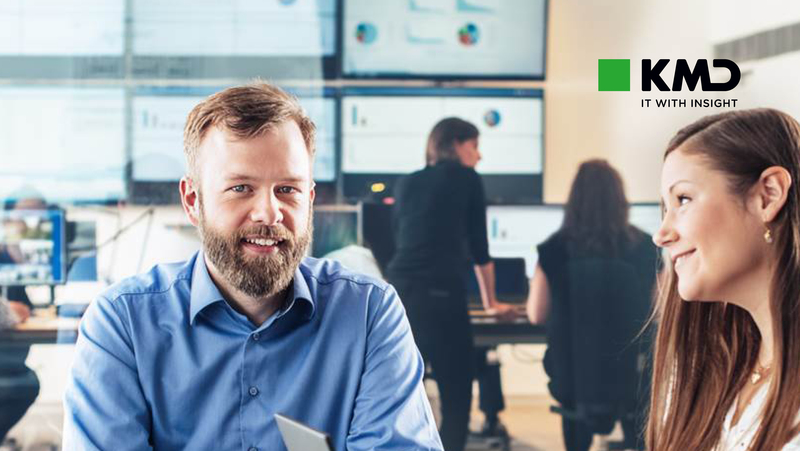 We offer a career opportunity to join Denmark’s largest IT company. Working with KMD Business you will gain understanding of a full range of IT services, build knowledge of various business industries as well as engage in inter-disciplinary project teams with a broad range of enthusiastic professionals. Send us your application as soon as possible and no later than November 25th.If you would like to know more about the position please contact Thomas Kanstrup, Director Solutions Management by phone on +45 61 98 29 36.